To earn more trust, establish closer ties with the client and lay down a solid foundation for future market development, an expert delegation led by CISDI top managers visited the Corporate Headquarters of ArcelorMittal Group in Luxembourg and the office of ArcelorMittal USA, and the presentations given on Total Solutions and whole-process technologies in the iron & steel industry were highly appreciated by the host in mid-late October, 2017. On October 12, the expert delegation of CISDI took part in the Technical Day at the Headquarters of ArcelorMittal Group in Luxembourg, and took the opportunity to give presentations. Mr Carl de Maré, Vice President and Chief Technology Officer of ArcelorMittal Group together with Mr Dominique Vacher, Vice President of ArcelorMittal Global Purchasing joined and had profound communication with the expert delegation of CISDI. He commented that he was much impressed by the technological competence of CISDI, and the thinking on Systematic Optimization and Total Solutions CISDI prepared for large iron & steel integrated complexes was refreshing in particular. 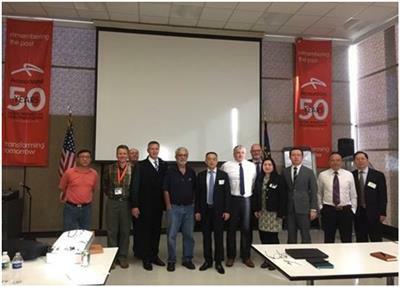 On October 20, the expert delegation of CISDI joined the symposium held by ArcelorMittal USA specially for CISDI at the East Chicago Office. At the symposium the responsible persons from CISDI USA, the Overseas Business Division, Consulting Business Division, Automation Business Division of CISDI gave a brief overview about CISDI, and presentations on the technology packages of consulting, intelligent stock yard, ironmaking, steelmaking, continuous casting, strip/plate mills, long product mills, automation, intelligent applications and the typical reference projects. Mr Costa Lima, head of ArcelorMittal Corporate Engineering and Projects, and 8 specialists from ArcelorMittal Global R&D were present, while another 14 people from the ArcelorMittal operations in Canada, Brazil, Mexico attended the event via video conference. 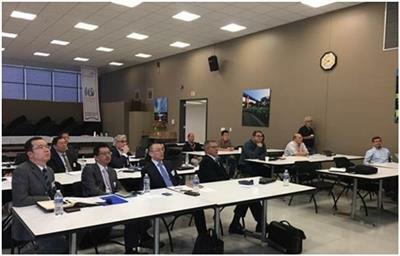 Mr Costa Lima expressed that the symposium provided him with full information on the overall competence of CISDI as a technology and solutions supplier, updated him on knowledge about the development trend and technologies of the global steel industry. He expected that ArcelorMittal and CISDI could strengthen communication, in search of opportunities for collaborations in R&D and doing businesses. ArcelorMittal Group, the leading steel producer in the world, boasts 51 steel production plants in 18 countries, turning out crude steel up to 90 million tons per year. Every year world-known suppliers are invited to the Technical Day at the Headquarters of ArcelorMittal Group in Luxembourg. CISDI is the first Chinese supplier that has been given a full day to give presentations at the event.